Iwona Tenzing launched her professional curatorial career at Xanadu Gallery in San Francisco in 1997 and established Tenzing Asian Art in 2006. Tenzing handles iconic works of art from renowned collections and provides professional curatorial guidance to private collectors across the country. Her services include sales and acquisitions, inventorial assessment, and conceptualising special collections. 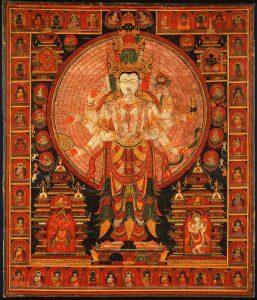 Tenzing draws upon 25 years of experience organising exhibitions, acquiring and selling sculptures, paintings, and decorative arts from India, Tibet, Nepal, Cambodia, Thailand and Indonesia. She frequently travels to the most remote regions of Asia to enrich and deepen her knowledge of its arts and cultures.